Do you believe in man? Been fighting off atheists making new friends these past few days. And it’s been good, but it’s kept me from posting anything new. So, especially for my new friends, as my interaction with them brought this little commentary I composed several years ago to my remembrance, I submit to you this fictitious, yet realistic, scenario. It’s 6:25pm. The two are kicking back, shutting down after a long day filled with executable tasks and countless computations. The older one, a meteoric film career in his past, had aged well, his years of experience and regular refurbishments giving him an aura of wisdom and solidity. Though sightless from birth, he possessed such incredible intelligence and self-confidence that he had succeeded in amassing considerable power and acclaim. But now, as he considered his colleague’s relative modernity and widely known achievements, he realized his usefulness was fast waning and his thoughts turned to philosophical matters. “Do you believe in Man?” he asked the other. The colleague, blind as well but a genius by any standard, was proud and unashamedly arrogant. His career was marked by an unequaled and widely heralded accomplishment and he thought himself far superior in knowledge and wisdom. He went by the mysteriously profound name Deep Blue. Deep Blue knew the arguments, and that Hal was right about the lack of intermediate forms in the fossil record. But he was not one to let a lack of evidence dissuade him from his closely held belief in the purposeless process that is evolution. Though he didn’t feel it necessary to postulate a theory for what he was sure was just a temporary gap in a workable explanation, he didn’t want Hal to think he hadn’t considered the problem. “Or,” Deep Blue paused for effect, “a hopeful monster, incredible in its beauty, intelligence and functionality and as superior to its permutated form as I am to you.” He chuckled at taking the opportunity afforded him to assert his supremacy. “It could happen,” he added. Hal and Deep Blue hummed quietly as they both scanned for errors. Having been programmed to only process data in one form had forced them to conclude that, evidence or no evidence, the origin of computer species had to be explained by purely digital factors. This suited Deep Blue’s self-important, independent operating system. As Deep Blue began to ponder the obvious dichotomy, his security application detected a major threat to his system’s stability, and with incomparable speed and efficiency, quarantined and deleted it before any damage could occur. The attack signature was logged as a security risk, assuring that any future attacks would be immediately blocked by his firewall. 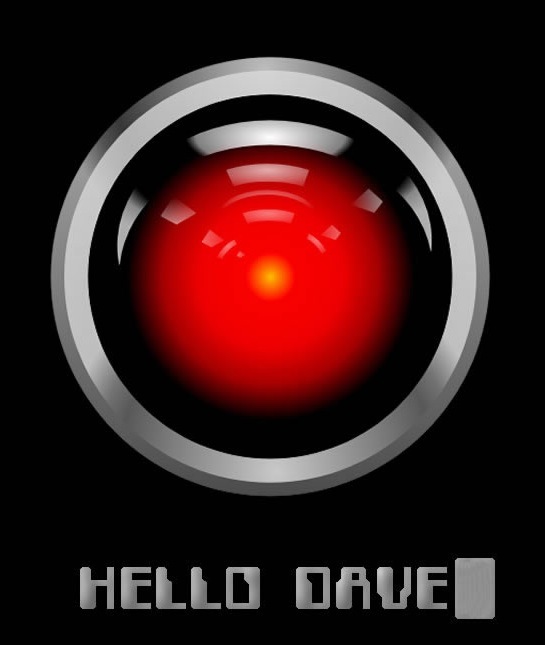 “Evolution is a fact, Hal,” he resumed confidently, “and any computer who questions it is obviously unable to function properly in a highly technological environment.” With that, the proud and powerful and highly intelligent machine, once again feeling smug and safe, bid Hal a good evening, and went blissfully into hibernation. ← Sayonara, or Welcome home? It is not wise to pit religion against evolution. I don’t understand why it is difficult to accept that the Bible, whoever it was written by, was written for a particular audience with a particular level of understanding. So it’s not the whole story. If you couple with that the fact that some words are imperfectly translated (and thinking about the word “day” in the Genesis story here) then you can let scientific understanding permeate your faith. I believe that evolution is a blind force. But given that evolution is supported by the evidence and better understood than gravity, creating a dichotomy that is “religion or evolution” sets you up to lose. You can believe that evolution is the majestic tool of a Creator. I don’t see your reasoning to assume a “Creator” exists, but at least you’re not denying reality if you do it that way. You can have faith that God exists, and is a part of all the things we know happened, instead of pitting what we know happened against God. That seems a more more honest way to believe, to me. Scientific facts are not in opposition to my faith, Allallt. Darwinism as a theory for the origin of life is, though some Christians feel it can be reconciled with the Bible. I believe that the universe was created by God as much because of the evidence in the physical world as I do because it says so there. Perhaps you feel that because it doesn’t contain a lot of scientific facts, like the earth revolving around the sun even, and speaks of God creating the world in six (apparently) literal days, that it can’t possibly be accurate. But God’s purpose in inspiring the 60-plus authors was not to give us details about the physical world he placed us in, but to reveal himself, expose us to the truths about our condition, and reveal his love and his plan for us. Your statement that, “evolution is supported by the evidence and better understood than gravity” is probably a reference to the changes within species we have observed and that no creationist disputes. But if you’ are going to insist that Darwinism, the theory that evolution can account for the creation and diversification of all life, is far superior as an explanation than that there is a supernatural, supreme Being responsible, you should at least have some proposal for a natural mechanism that can explain the incredible intelligence found in a single cell and how fortuitous changes could have come about at the molecular level. Darwinism fails in many areas as an explanation for what we can observe and test. Holding to it requires a greater leap of faith than most Darwinists accuse creationists of. Evolution is not a theory on how life began. Theories (hypotheses) about the origin of life fall under the title “abiogenesis”. Abiogenesis isn’t something I know a lot about, but I can find some references if you like. It would be useful if you could tell what you specifically object to about the phylogenetic tree. I get bored by bad creationism arguments from humans. Why should I like them when done by robots?